MANILA, Philippines – Fifty years since it was founded, the Association of Southeast Asian Nations (ASEAN) has come a long way. Challenges also emerged that have put the regional bloc’s unity and mettle to the test, with issues ranging from political conflicts to economic integration. Here are some of ASEAN’s ups and downs over the last 5 decades. 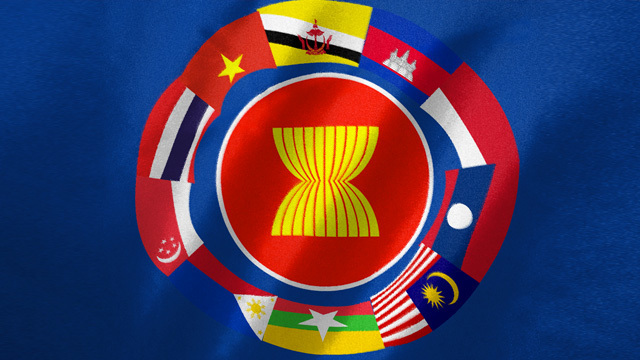 1967 – The ASEAN is formed by Indonesia, Malaysia, Philippines, Singapore, and Thailand. 1984 – Brunei Darussalam joins ASEAN. 1987 – The Treaty of Amity and Cooperation is amended during the ASEAN Summit in Manila, to allow countries outside Southeast Asia to accede to it. 1980s to early 1990s – After Vietnam invaded Cambodia in 1978, ASEAN raises the issue before the United Nations, and sponsors UN General Assembly resolutions calling for a “durable and comprehensive political settlement” of the conflict. It also urges Vietnam to withdraw its troops from Cambodia, then known as Kampuchea. Indonesia serves as an “interlocutor” for ASEAN, hosting informal meetings in Jakarta – starting in 1988 – with warring Cambodian factions. It culminates in 1991, when the Paris Peace Conference on Cambodia paves the way for successful elections in 1993 under the supervision of the UN Transitional Authority in Cambodia or UNTAC. 1992 – Member countries agree on a common effective preferential tariff (CEPT) scheme for the ASEAN Free Trade Area (AFTA) to foster economic cooperation in the region. 1994 – The ASEAN Regional Forum (ARF) holds its first meeting in Bangkok, Thailand. The ARF serves as a venue for dialogues on political and security cooperation with other countries in the Asia-Pacific region. 1995 – Vietnam joins ASEAN. 1995 – At the ASEAN Summit in Bangkok, all 10 countries in the Southeast Asian region sign the Treaty on the Southeast Asia Nuclear Weapon-Free Zone. 1997 – Laos and Myanmar join ASEAN. 1999 – Cambodia joins ASEAN. 2002 – ASEAN and China sign a non-binding Declaration of Conduct of Parties in the South China Sea as a compromise, after both parties were not able to come up with a code of conduct following 2 years of negotiations. 2003 – Member countries agree to the ASEAN Concord II, which envisions a “dynamic, cohesive, resilient and integrated” ASEAN Community. The document also establishes the community’s 3 pillars, namely: the ASEAN Political-Security Community, the ASEAN Economic Community, and the ASEAN Socio-Cultural Community. 2007 – ASEAN adopts the Convention on Counter Terrorism, a framework to combat all forms of terrorism, and to deepen cooperation among law enforcement agencies in the region. It comes into force in 2011. 2007 – At the annual summit in Cebu, Philippines, the establishment of an ASEAN Community as outlined in ASEAN Vision 2020 is fast-tracked to 2015. 2007 – ASEAN calls off a briefing on Myanmar’s then-state of affairs by UN special envoy Ibrahim Gambari at the 13th ASEAN Summit in Singapore, following Myanmar’s strong objections. A few months later, it is Cambodia that officially releases ASEAN’s Six-Point Principles on the South China Sea. All 10 foreign ministers are on board the said agreement. 2013 – ASEAN and China start formal consultations regarding a code of conduct in the South China Sea.